Spanish La Liga officials are in town and have expressed their readiness to offer free consultancy service to Ghana in the midst of the prevailing football crisis. 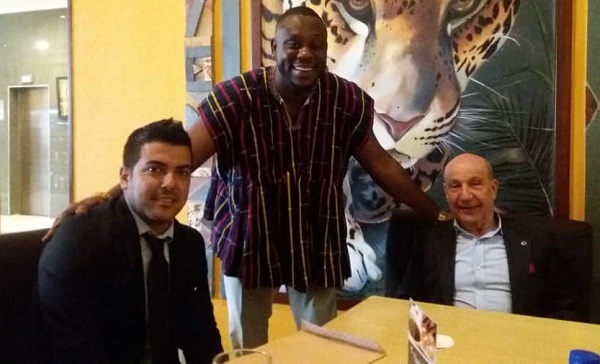 Director of La Liga Africa, Antonio Barradas, is in the country to explore ways of improving Ghana’s league in the wake of Asante Kotoko versus a Spanish club speculation next year. Speaking to the media, he called on football stakeholders in the country to strive to restore sanity in the administration of the game and gave assurance of their eagerness to help Ghana take its football to the next level. He pointed out that Nigeria and South Africa football are beneficiaries of their services and thus will not turn down a similar call from Ghana. Barradas said “First you need to get your house in order and if you get your house in order we will come and do it for free. We have done it in Nigeria. We have opened offices in Nigeria and working close with South Africa Federation. “So if it’s something we can help, La Liga is ready to help Africa football. I represent La Liga Africa and we are going step by step. We cannot go to every country so we are doing everything slowly. We went to South Africa and Nigeria and definitely, we will come to Ghana. Crisis rocked Ghana football following an expose that captured some officials indulging in various alleged corrupt and fraud practices. However, a FIFA Normalization Committee, which would be announced soon, has been tasked to run Ghana football from now till March 31 next year.